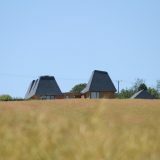 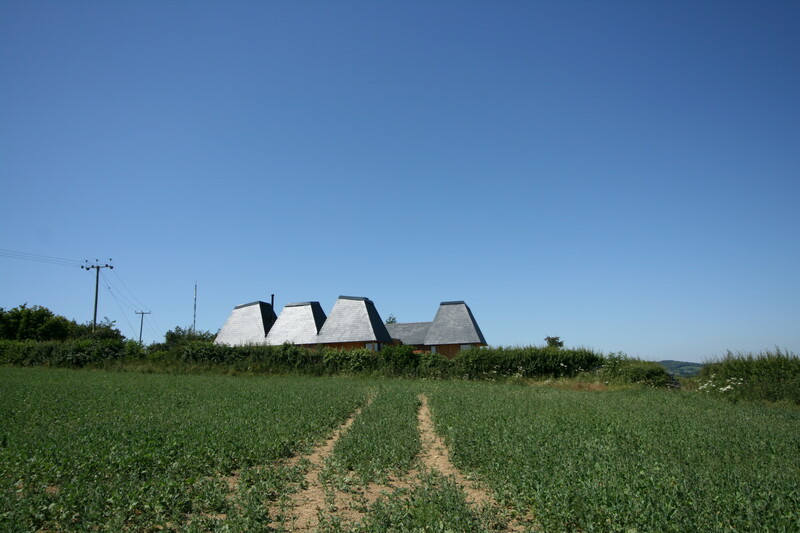 Articulated roof forms break down the apparent mass and scale of this three bedroom, single storey, replacement dwelling, to create an appropriate and distinctive building with references to traditional Herefordshire hop houses, dovecotes and the vertical built forms typical of Much Marcle. 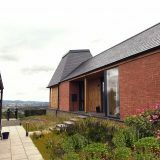 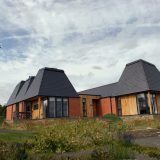 Crisp, modern details are combined with the local pallet of red brickwork, dry stone walling and slate roofing to create a sensitive, high quality, bespoke and contemporary building. 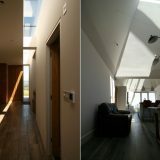 Careful orientation and generous glazing will optimise solar gain and natural daylighting levels in the replacement dwelling, whilst oversailing eaves and set-backs provide appropriate shading. 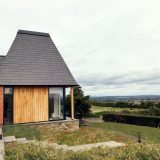 Full RIBA Services provided through all stages. 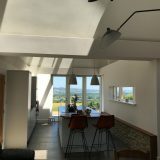 Complete.